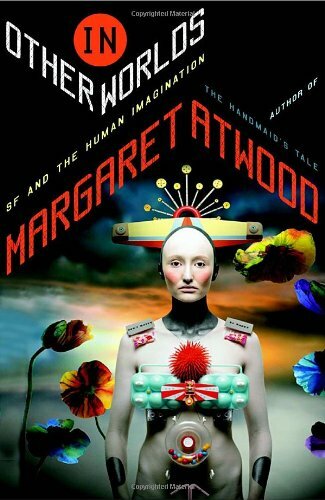 I just finished "In Other Worlds: SF and the Human Imagination", by Margaret Atwood. Basically this is a collection of essays, short (very short) excerpts of Atwood's fiction in the genre, and what I gather once was intended to become the author's PhD thesis. I enjoyed the writing, as always; Atwood's style exhudes her wry wit and there are sprinklings of her dry humour throughout the book. Other reviews I've read lament that there's really nothing 'new' here - if you are quite familiar with SF already you will probably know much of what she describes here. On the other hand, if you are not familiar with SF (or very well-versed in fiction in general), you will probably miss a lot of the references she makes. Atwood focuses on the more speculative side of SF rather than the hard-science side. I would have liked to hear more about her thoughts on authors such as David Brin (his idea of 'Uplift' having some similarities with her use of genetic manipulation in "Oryx and Crake", for example), or other authors like Benford or Bear. Still, this book was like a romp through familiar territory for me, and I thoroughly enjoyed it. If you have fond memories of reading SF as a kid you will probably like it too. Worth the read, but if you have something more pressing I would get to that first.